SES is run by E@I, the people who run the Lernu! website and a host of other projects. Bar one time in Russia, SES is always held in Slovakia and there are normally 190-250 people there. 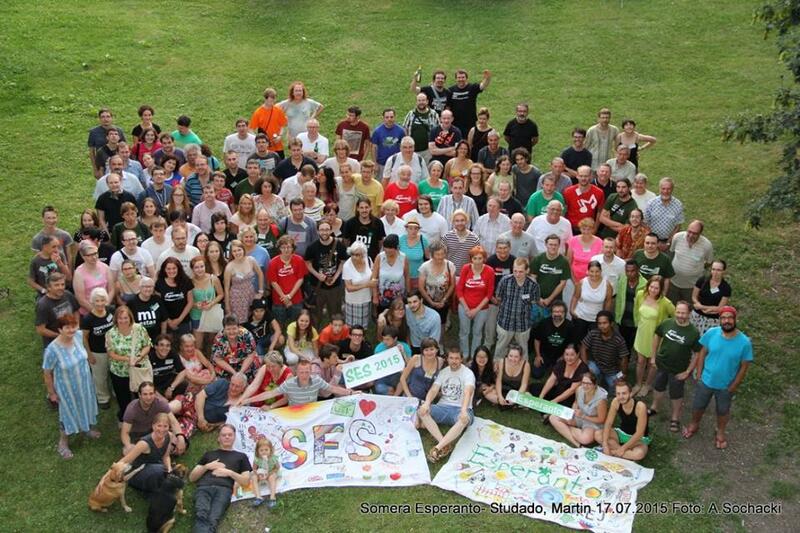 This year 190 people came to the 10th SES in Martin, Slovakia. There will be no SES next year as the organisers will be organising the Universala Kongreso. 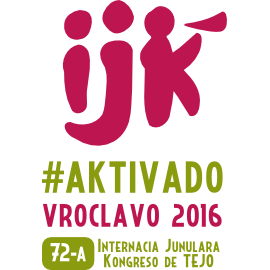 IJK – Internacia Junulara Kongreso (International Youth Congress) This is the main youth event and is run by TEJO – Tutmonda Esperantista Junulara Organizo (World Esperantist Youth Organisation). It’s always held either a week before or after the UK and usually in a neighbouring country. It’s more casual than SES or UK, with talks and games during the day. The main advantage is that it is the biggest youth event with the most people, which means more friends, bigger events and bigger concerts etc. The bigger numbers means you have a bigger choice in terms of activites with normally three talks running simultaneously as well as games and videos. It is also international and has been held all over the world. TEJO also hold their meetings during IJK. There’s interesting talks and good concerts and I had an amazing time this year. If I had to pick one, I would say IJK is probably my favourite. There can be anywhere between 150-500 people at a IJK depending on where it’s held. This year 291 people came to the 71st IJK in Wiesbaden, Germany. Next year the 72nd will be held in Wroclaw, Poland (its website). 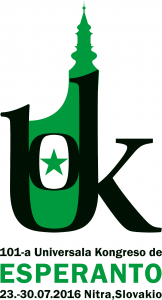 UK – Universala Kongreso (World Congress) The UK is in a category of its own and quite unlike any other Esperanto event. It is the largest Esperanto event and run by the main Esperanto organization, Universala Esperanto Asocio (World Esperanto Association). I would recommend everyone go to a UK at least once, but it’s not for everyone. If you haven’t gone to an event before, I wouldn’t start with this, it’s the deep end of Esperanto. For a start, it’s about ten times the size of other events. You can expect somewhere between 1,000-3,000 people and it is worth going just for the sight of an ocean of people using Esperanto. 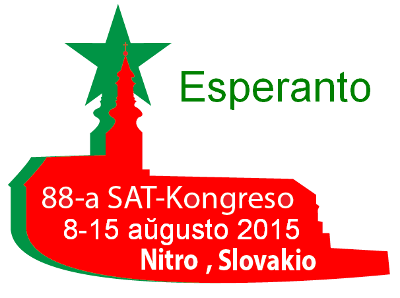 It is also a lot more formal and serious than other events, it can be thought of as an AGM of the Esperanto movement. Those attending are also much older, almost elderly. It has a lot of speeches and discussion of Esperanto which some can find boring, but others find interesting and adding to the prestige of Esperanto. 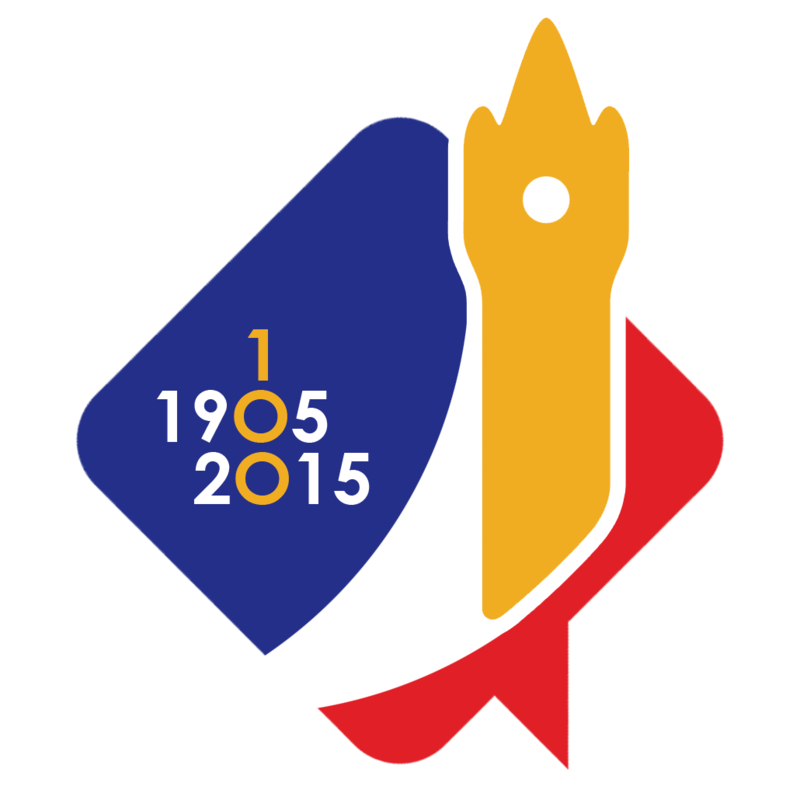 This year 2,698 people came to the 100th UK in Lille, France. Next year, it will be held in Nitra, Slovakia (website here). 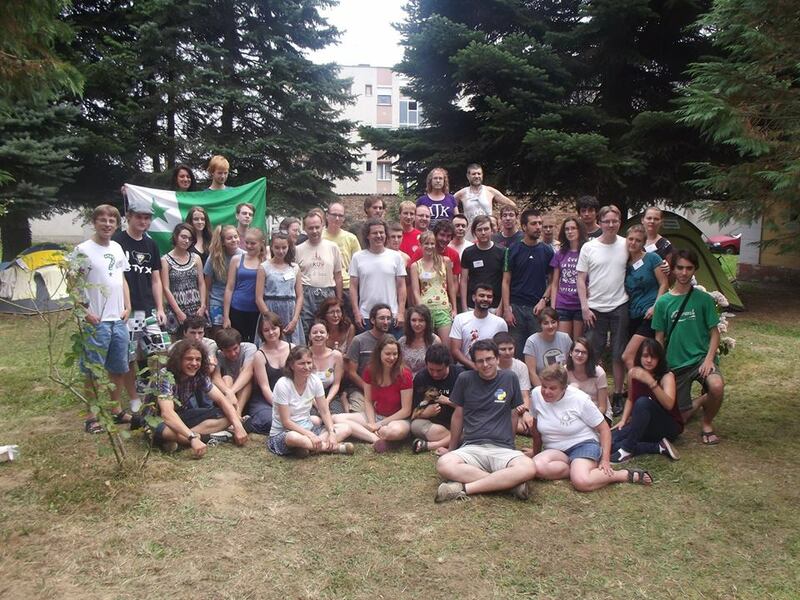 JES – Junulara Esperanto Semajno (Youth Esperanto Week) JES was originally formed as a merger of German and Polish events and held near the border between both countries, but this year it breaks with tradition and will be held in Hungary. 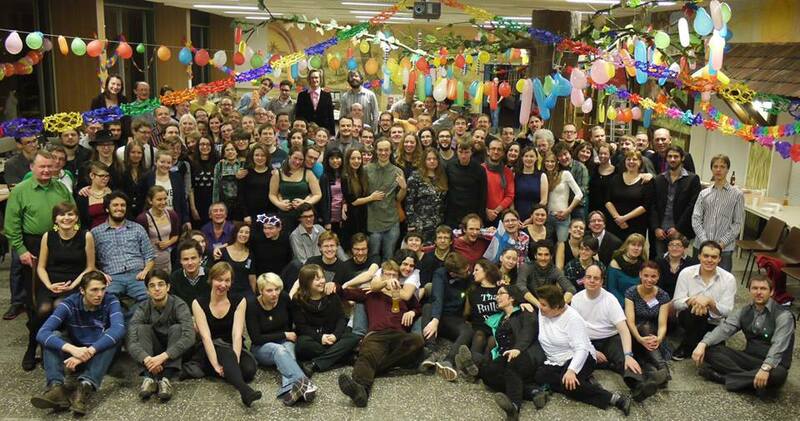 It is similar to IJK, but unlike most Esperanto events it is not held in summer, but instead during New Year’s. The highlight of course is the New Years Eve party. Unlike other events there is also a good chance of snow which I found amazing and everyone else found my reaction amazing. Normally about 150-250 people go. 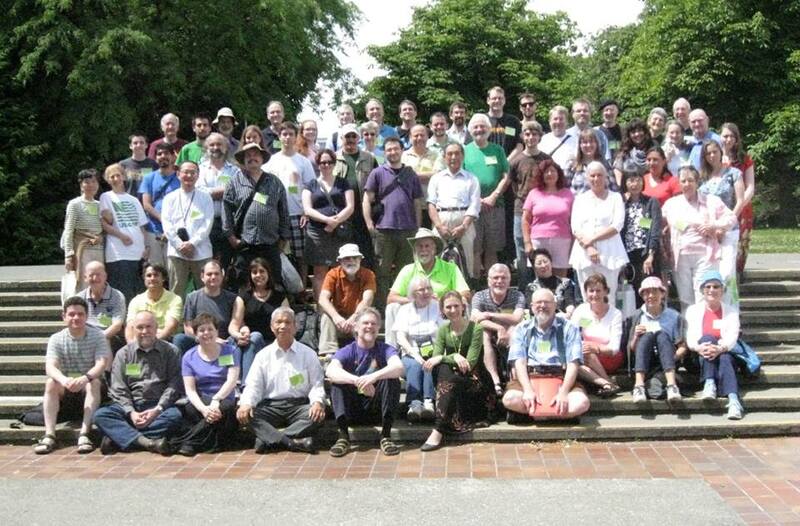 This year about 150 people came to the 6th JES in Weisswasser, Germany. Next year the 7th will be held in Eger, Hungary and you can see more details on its website. IJS – Internacia Junulara Semajno (International Youth Week) This event is organised by the Hungarian Esperanto and held every year in a different place in Hungary. However, it isn’t just for Hungarians, it’s just as international as other events. The main difference is that it is smaller, which is its biggest strength and weakness. The smaller size makes it more personal (which can be good or bad depending on the people) and it’s very casual (which is good or bad depending on your point of view). It is also remarkably young, with most of the organsiers in their early 20s and those attending were even younger. At 23, I almost felt old! It is also the cheapest event I’ve gone to. Around 50-150 people normally attend, this year 65 people came to the 26th IJS in Szentgotthárd. It hasn’t been decided where/when next years will take place, but it will probably use the same website as last year. There are other events which I haven’t gone to, but still deserve to be mentioned. Unfortunately, not all of them have that much information about them available online, but I’ll share what I can find. If anyone has been to them, please leave a comment on your experience and what it was like. IJF – Internacia Junulara Festivalo (International Youth Festival) From what I understand this is similar to IJS in that it is organised by a national group (in this case the Italians) but open to everyone. It is usually held around Easter and about 100 people normally attend. This year 88 people came to the 39th in Brusono. There isn’t any information on next years yet. NASK – North Ameriko Somera Kursaro (North America Summer Course) The vast majority of Esperanto events occur in Europe but the main North American one is NASK. It is similar to SES in that it is essentially a summer school with classes and teachers. Originally it was three weeks long and held in San Francisco, but they are now experimenting with the length and location and this years was 10 days long and in Ranleigh, North Carolina. Its website is here. 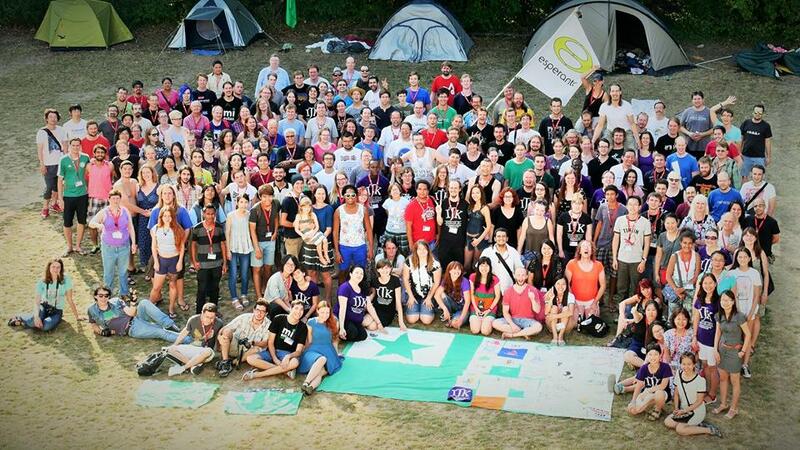 FESTO – Franca Esperanto Semajno, Terure Organizita (French Esperanto Week, Terribly Organised) This is a large weeklong Esperanto music festival always held in France. Beyond that, I don’t really know. It sounds like fun and I probably will go sometime, but I don’t know much about it. Its website describes the 2014 event and has only sparse detail. If anyone has gone, please help fill in the gaps. 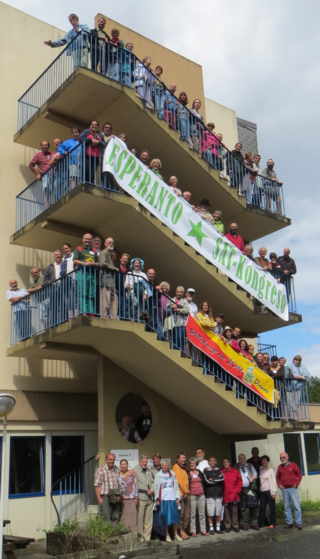 SAT Kongreso – Sennacieca Asocia Tutmonda (World Nationless Association) The other Esperanto events I described are all non-political and neutral. However, SAT is the exception to this as it is an explicitly political and left wing organisation. It was originally a socialist organization whose aim was to use Esperanto to unite workers of the world. It is unique in that Esperanto is not an end in itself, but just a means. During its peak, over 1,000 people would attend its congresses, but with the decline of socialism this has dwindled to around 100. While it retains its internationalism it is now more of a broader left wing organization, with a diversity of factions across the spectrum. So that’s my rough guide to the main Esperanto events. As you can see I focused on the ones I’ve been to and unfortunately the others don’t always have the best websites or wikipedia pages. If anyone has been to any of these events please leave a comment about your experience so as to give more than just my limited view. If you are thinking about going to an event, hopefully this has helped to clear things up. Another one to mention is perhaps KoKoPoSo (KlaĉKunveno Post-Somera – the After-Summer Gossip Meeting) in the Netherlands. I haven’t been there myself but apparently it’s a place to meet after the various summer meetups and swap storied about who did what at various meetups and catch up with what happened at the meetups you couldn’t go to yourself that summer. Actually that’s a good one. I did hear some people talking about it this summer, but I don’t know any details. Don’t forget ARE. In 2016, it was the best attended Esperanto event in USA/Canada, and with many people from Quebec participating, it has a more international feel than many North American Esperanto events.